Today, Ethiopia exists as a nation because a few good men and women stood firm to defend her existence. That is AG7. AG7 is raising fund to build the new party and that is priceless. Ethipiawinet Lezelalem Yinur !!! Do you have the name of artists who will take part in this mega concert? What about the type of songs chosen? Remember: there are about 80 tribes that make-up Ethiopia & concert organisers must be careful what songs to choose not to be accused of favouritism, discrimination, equating Ethiopianess with Habeshaness, etc. Thanks. A song suggestion for the concert. video/song: Tamirat Assefa - Sawa Konso - New Ethiopian Music 2018 (Official Video). Enjoy! 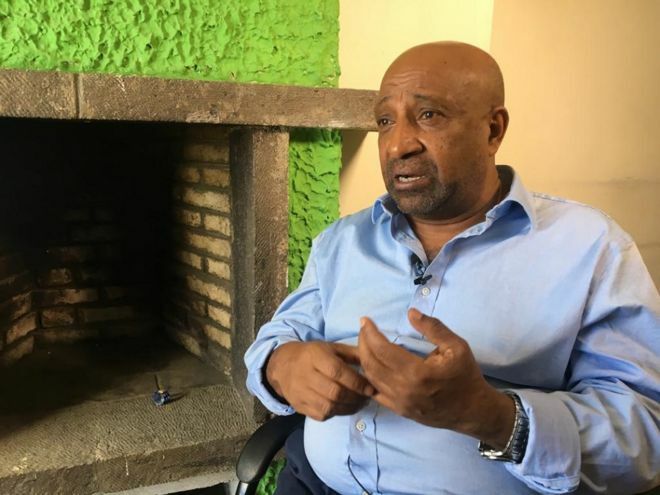 Basically Dr Berhanu is saying "I am Ethiopian only on conditions" if those conditions are not met I am not an Ethiopia. This summed up the character of this person!!! This is why we need freedom and democracy. Ethiopians like everybody else are born of specific tribes but what is great and glorious about Ethiopia is not that she has 100 tribes but 110 million beautiful human being. Ethiopia has no problem with tribes and languages but Ethiopia greater, greater than the sum of 100 tribes. When the majority of these 110 million demand to be Ethiopians, no tribe can stop us from being human Ethiopians. Beqa. If a musical artist wants to celebrate Ethiopia, he surely not accepted but praised. If he chooses not to be Ethiopian, that is his business but it is not only arrogant also stupid trying to tell us how we must identify ourselves !! The following singers are AA University students I heard. ቅጂው! ከፍቅር ላይ ቅጂው!! ፀበል እንዲሆነው "ዐቢሽ" ለችግሩ! ሃሃ! ተመችቶኛል!! Last edited by Dawi on 13 Jan 2019, 06:19, edited 1 time in total. The Opportunist Dr. BirrAmtu knows how to milk stup!d individuals. He targeted the Epiphany holiday and organized this concer to milk stup!ds and be the boss on them. Since this program is undermining the Christian Holiday of Epiphany, all Christian must boycott this concert. Masud - Stupid is as stupid does! No wonder that what is stupid is defined by those who are stupid. Horus: Ethiopia has no problem with tribes and languages but Ethiopia greater, greater than the sum of 100 tribes. Really? No! Ethiopia has had & still has SERIOUS problems with the way it ranks & mistreats its tribes & languages. This issue remains at the centre of the so called 'nationalities question' that led to never-ending wars & political crises that made Ethiopia one of the worst countries to live-in according to a recent UN report. For example, Woyane-ism was a type of ethnic apartheid system of Ethiopia that puts the 'golden tribe' at the top of the ethnic heap in Ethiopia & the rest under their feet. Before that, we had an ethnic apartheid system of the Amhara kings+emperors that put the Amhara tribe & culture at the top of the ethnic heap & the rest as the tribes to serve their barefooted feudal lordships. Before that ... Hence, ethnic rankings & ethnic apartheid system has been the very foundation of the state, rather, empire of Ethiopia. What songs one plays at a concert that ostensibly celebrates 'Ethiopianess' is a fundamental political question/issue in today's Ethiopia where issues of respecting tribal/ethnic identities are at the very centre of all political dramas - and wars. The list of songs chosen for a concert that, in theory, celebrate a 'pan Ethiopian identity' must be something that the organisers should take seriously & try to lean from other multi-ethnic countries such as India, Belgium, Kenya, etc. Dawi: The following singers are AA University students I heard. ቅጂው! ከፍቅር ላይ ቅጂው!! ፀበል እንዲሆነው "ዐቢሽ" ለችግሩ! ሃሃ! ተመችቶኛል!! I can see that the singer made an effort to include a TOKEN southern Ethiopian - a sole shankilla lady - among those gathered to celebrate his notion of 'Ethiopianess'. But, he forgot one very important criteria in trying to depict an Ethiopia that is struggling to be inclusive of all its tribes, cultures, languages, etc. Can you guess what? ... Hint: note that the ceremonies/rituals shown in the clip give the impression that Ethiopia is very much a country of orthodox christians. Now, what religion do 55%+ of Ethiopians follow today? ... Yes! Good boy! ISLAM & its followers are easily identifiable through their distinctive clothing, etc. Hence, the song & clip shows that, unfortunately, our habesha Ethiopian brothers have a long ... long way to go to develop a genuine sense of inclusiveness. Last edited by yaballo on 13 Jan 2019, 09:51, edited 1 time in total. AG7 has no need for support of the likesof vmaxireveloyaballo jumble Jj!! The following singers are AA University students I heard. 8) ቅጂው! ከፍቅር ላይ ቅጂው!! ፀበል እንዲሆነው "ዐቢሽ" ለችግሩ! ሃሃ! ተመችቶኛል!! You guys want some blurry stuff by "affirmative action" dictatorial music. Who want to listen/watch that? Music maybe better to be left alone to the artist. Dictating will not bring quality in music, I don't think. Look at Black America leading in that area by creativity despite their being low in numbers. Other groups besides the ones I posted can introduce new to be embraced by all. Southern state is actually the new sensation taking and influencing the center stage in Ethiopia & some blending with Amharic. Check the following out! Let the best man in music win the center stage & the rest preserved by cultural centers & museums of the country! በቃ! Oooh!... and we care what the same old loud-mouthed, exceedingly selfish but irrelevant ጉዳንጉድ ጉደላዎች/gudangud gudeelas say about us! Tisicha afaan shamaa.